MANILA, Philippines - 'Heneral Luna' is now the highest grossing Filipino historical film of all time as it continue to win streak at the local box office after hitting more than P160 million on Wednesday and now on P180 million mark. The film, which presents a detailed account into the life and death of General Antonio Luna during the Philippine-American War, made an additional P124 million from September 23 to October 1. According to producer Joji Alonso on Facebook, they are targeting 19,565,912 to reach 200M and break even after cinema screening costs. With a production budget of 80 million pesos, it is one of the most expensive Filipino epic historical films ever released. "HENERAL LUNA --- 19,565,912 left to reach 200M and break even after grossing another 8,086,507 yesterday. please please continue to support this film!! !," Alonso wrote. "The film started slow at the box office but because of your generous support, the film has broken norms and patterns and the usual dwindling statistics as each week passes," Alonso added. 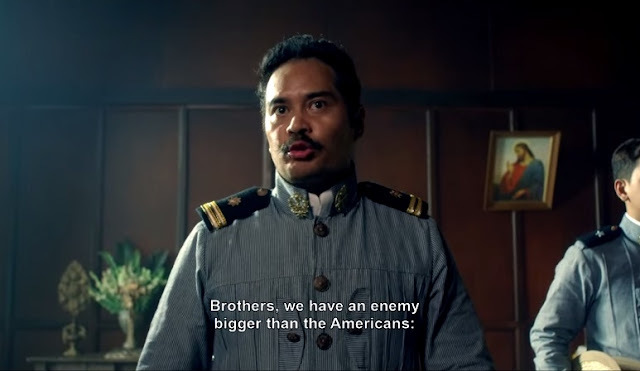 On Thursday, Alonso said that 'Heneral Luna' will screen in 112 theaters from the 96 on September 30. A sequel of the hit movie starring Paulo Avelino as General Gregorio del Pilar has been eyed, as well as another film on the life of a Manuel L. Quezon. Directed by Jerrold Tarog, "Heneral Luna" stars John Arcilla, Mon Confiado, Epi Quizon and Joem Bascon. It is the country's official entry for the Best Foreign Language Film at the 88th Academy Awards next year.